On Friday The United Nations celebrated Samson, as UNEP Champion of the Earth, and MWCT, as winner of the UNDP Equator prize. 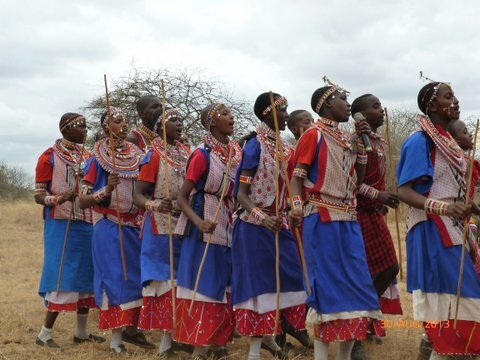 The ceremony was held at Chyulu Conservation and Research Center, in Kuku Group Ranch. It was a moment of joy and pride not only for all of the 220 employees of MWCT, but for the entire community and its leaders, and of course for Campi ya Kanzi. Today she starts her weekly boarding school in Nairobi, a big change for all of us. Thank you all for your support, these awards would have been achieved without you.